The Toraja are an ethnic group indigenous to a mountainous region of South Sulawesi, Indonesia. Their population is approximately 650,000, of which 450,000 still live in the regency of Tana Toraja ("Land of Toraja"). Most of the population is Christian, and others are Muslim or have local animist beliefs known as aluk ("the way"). The Indonesian government has recognized this animist belief as Aluk To Dolo ("Way of the Ancestors"). 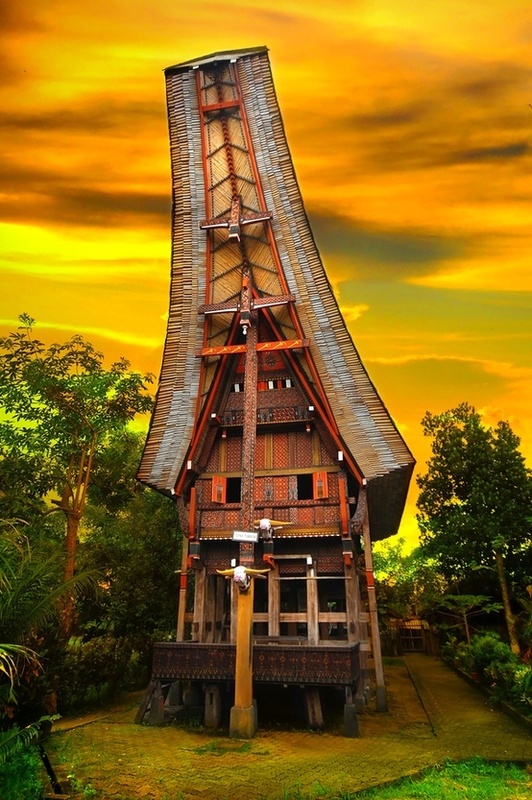 The word toraja comes from the Bugis language's to riaja, meaning "people of the uplands". The Dutch colonial government named the people Toraja in 1909. Torajans are renowned for their elaborate funeral rites, burial sites carved into rocky cliffs, massive peaked-roof traditional houses known as tongkonan, and colorful wood carvings. Toraja funeral rites are important social events, usually attended by hundreds of people and lasting for several days.